Purchase online IR2520D Adaptive Ballast Controller in India at low price from DNA Technology, Nashik. 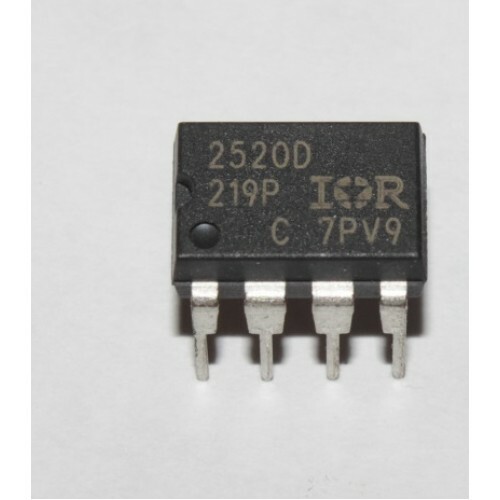 The IR2520D(S) is a complete adaptive ballast controller and 600V half-bridge driver integrated into a single IC for fluorescent lighting applications. The IC includes adaptive zero-voltage switching (ZVS), internal crest factor over-current protection, as well as an integrated bootstrap FET. The heart of this IC is a voltage controlled oscillator with externally programmable minimum frequency. All of the necessary ballast features are integrated in a small 8-pin DIP or SOIC package.